Once again someone found a hole that needed to be plugged. 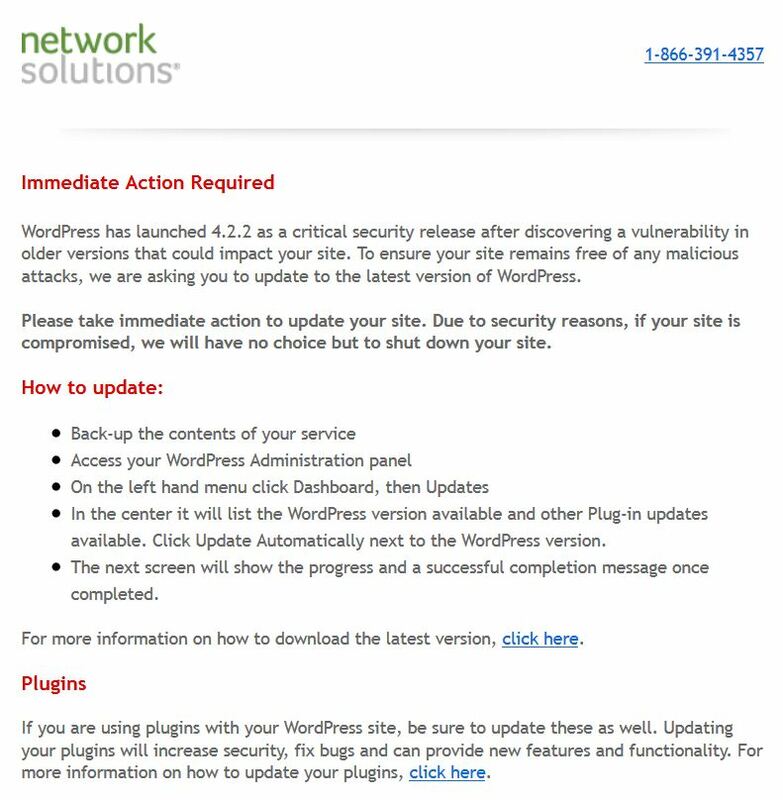 It is a good thing that they found it of course updating is not a choice and is mandated by Network Solutions that you fix it or your website will be shut down if compromised! If you are a BerkSites customer, you probably have a Custom Website that does not use open source software like WordPress so you will not need to worry about this.